Mitsubishi Chemical Corporation (MCC) is the world’s largest manufacturer of methacrylate monomers and is continuing to invest to improve the supply of these products for our customers. Methacrylates are a core product line with the MCC portfolio which means that investment in both new and existing assets continues apace. Here, we share some of the key activities from around the globe which will support our customers’ growth. 2018 has seen the largest ever overhaul at our EMEA methacrylates production location. 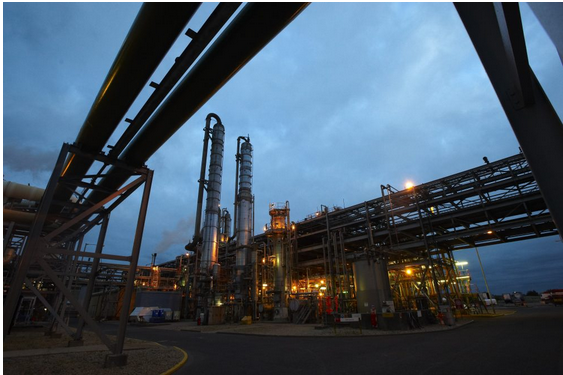 Many more significant investment projects continue at the site, ensuring sustainable supply for our customers. The West Virginia asset has transitioned from production of four products to two products (EMA, 2EHMA). Capacity of 2EHMA will have more than doubled by end of Q1 2019. i & nBMA will now come exclusively from MCC’s Thailand asset, with Lucite International maintaining enhanced inventory levels to mitigate any disruptions in the supply chain. MCC continues to progress on its ambition to have an Alpha technology asset in the US. SAMAC: New MMA (Alpha II) and pMMA capacity in Al Jubail (Saudi Arabia) providing a step change in availability for the global market. This plant strengthens and optimizes MCC’s global network of MMA production plants and ensures MCC’s continued ability to reliably and efficiently serve and support its present and future customers’ needs. MCC has invested in new BMA capacity in Asia to facilitate supply to each of the world’s regions. Further strategic investment in higher methacrylates (HMAS) capacity is under evaluation. Further investments in MAA have been made in Thailand, which were on stream as of July 2018. This will support MAA availability globally. Further MAA capacity is under consideration in Asia to meet the growing demand.